About 70 years ago a zoologist who studied spiders got tired of waking up at 5:00 am to watch them build their webs, so he asked his pharmacologist friend if he could drug the spiders to change their construction time. Dr. Witt, the pharmacologist, had no trouble giving spiders sugar water spiked with marijuana, Benzedrine, caffeine, Chloral Hydrate, and LSD. Unfortunately, that didn’t change their web-weaving time, so the zoologist lost interest. Dr. Witt, however, got very interested. He discovered that “each drug seemed to produce characteristic aberrations in the spiders’ webs, changes far more reliable than the behavioral effects of drugs observed in laboratory rats or human subjects.” (1) In other words, while on drugs, spiders changed the size and shape of their webs in a predictable pattern. In 1995, scientists at NASA replicated that original study in an attempt to analyze the toxicity of different chemicals. “The more toxic the chemical,” the researchers wrote, “the more deformed a web looks in comparison with a normal web.”(2) Take a look at those pictures from the study – which web looks most deformed to you? We are not spiders, of course, but caffeine impacts us in a very real way. Let’s take a look at how caffeine affects the body. The first factor that regulates our sleep-wake cycle is the circadian rhythm. Another factor that supports our sleep-wake cycle is the buildup of a sleep chemical called adenosine. It begins to build up in your brain the moment you wake up and continues to build throughout the day. After 12 to 16 hours it reaches a high concentration that signals to the brain that it is time to sleep. This is called “sleep pressure,” and you will succumb to it sooner or later. Sleep gradually reduces adenosine, but if you wake up before you are ready, you will begin your day with extra sleep chemical. Caffeine artificially mutes the signals of adenosine, but it does not affect the concentration of adenosine. This means that even if caffeine makes you feel alert and awake for a period of time, the build-up of adenosine continues to grow. The effect of caffeine will wear off after five to seven hours as it is being removed from your system by an enzyme within your liver. For some people, the enzyme is stronger, so it clears caffeine in record time, while for others the process is slow, which means that they will be lying wide awake well into the night if they had a cup of coffee after dinner. 1. Do you have a regular daily routine (of meal times, bedtime, exercise time, etc.)? Regular activities help to reset the biological clock to keep it closer to the 24-hour cycle. 2. At what time during your day do you feel the most awake and the most productive? Understanding the client’s sleep-wake cycle helps to make recommendations on how to structure her day for best productivity and better sleep. 3. Do you consume any caffeine after 3:00 pm? It takes an average of five to seven hours for the effect of caffeine to begin to wear off. We need to remember that caffeine can be found not just in coffee, teas and energy drinks, but also in dark chocolate, ice cream and some drugs (like weight-loss pills and pain relievers). If a student comes to you seeking help with sleep troubles, there are many yogic techniques we can use to help. However, those techniques become less effective if her body has to fight against its own biology—natural sleep-wake cycles, effects of stimulants, and so on. Those techniques will be much more effective if we take steps to understand our biology and work with it, rather than against it. 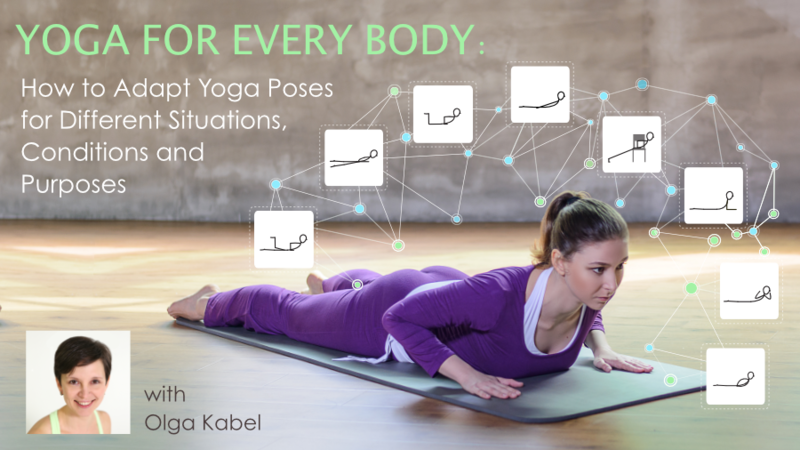 Study with Olga Kabel and YogaUOnline - Yoga for Every Body: How to Adapt Yoga Poses for Different Situations, Conditions, and Purposes. Reprinted with permission from Sequence Wiz. Educated as a school teacher, Olga Kabel has been teaching yoga for over 14 years. She completed multiple Yoga Teacher Training Programs but discovered the strongest connection to the Krishnamacharya/ T.K.V. Desikachar lineage. She had studied with Gary Kraftsow and American Viniyoga Institute (2004-2006) and received her Viniyoga Teacher diploma in July 2006 becoming an AVI-certified Yoga Therapist in April 2011. 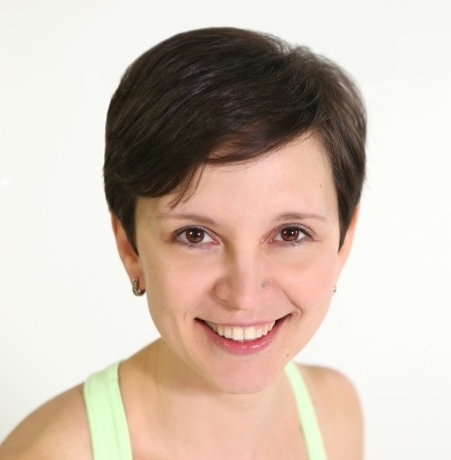 Olga is a founder and managing director of Sequence Wiz- a web-based yoga sequence builder that assists yoga teachers and yoga therapists in creating and organizing yoga practices. It also features simple, informational articles on how to sequence yoga practices for maximum effectiveness. Olga strongly believes in the healing power of this ancient discipline on every level: physical, psychological, and spiritual. She strives to make yoga practices accessible to students of any age, physical ability and medical history specializing in helping her students relieve muscle aches and pains, manage stress and anxiety, and develop mental focus.